You are here: Home / Felony / What Is a Class A Felony Charge in the State of Missouri? From a lawyer’s point of view these big cases are what the big time lawyers live for. Can they be technical? Yes, but rarely so. It is a common saying that from a legal point of view a DWI can be more difficult to try in a technical point of view than a homicide. There is a lot more science and need for precision in analyzing Standardized Field Sobriety Tests, Breathalyzers and the expert witnesses the officers are holding themselves out to be. Robbery cases do not tend to be scientific in nature. They tend to be more fact based. That makes it less likely to find a technicality to get you or your loved one out of hot water. You need good lawyering more in these high end cases than a routine DWI. You need to be looking for the right kind of attorney to deal with these high end cases. Some of the things you should be looking for in a criminal defense attorney if you or a family member has been charged with this sort of crime. 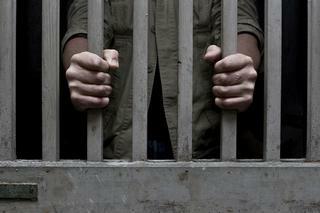 Class A felony charges will determine the way you live your life for a very long time to come. Do not leave it up to chance. Put National and State award winning Criminal Defense Lawyers who are former Greene County Prosecutors to work for you. We have three decades worth of experience at the Greene County Courts, and we want to help you with your legal issues. Contact our team of criminal defense attorneys today.